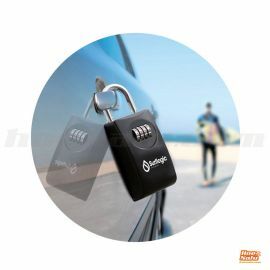 The SurfLogic keylock probably is one of the most useful accessories for surfers, SUPers and anyone who practice outdoor sports and don't want to lose or damage the key of the car. It is available in two sizes: Normal & Maxi. Surf Logic, is a combination lock that acts like a portable lockbox that can attach to the most solid and strong parts of a car. The most common use for Surf Logic's security lock is to store your car or house keys, but it will let you safely store other personal items so you can relax while you exercise outdoors, especially whith activities such as Stand Up Paddle, KiteSurf, Windsurf or Surf. 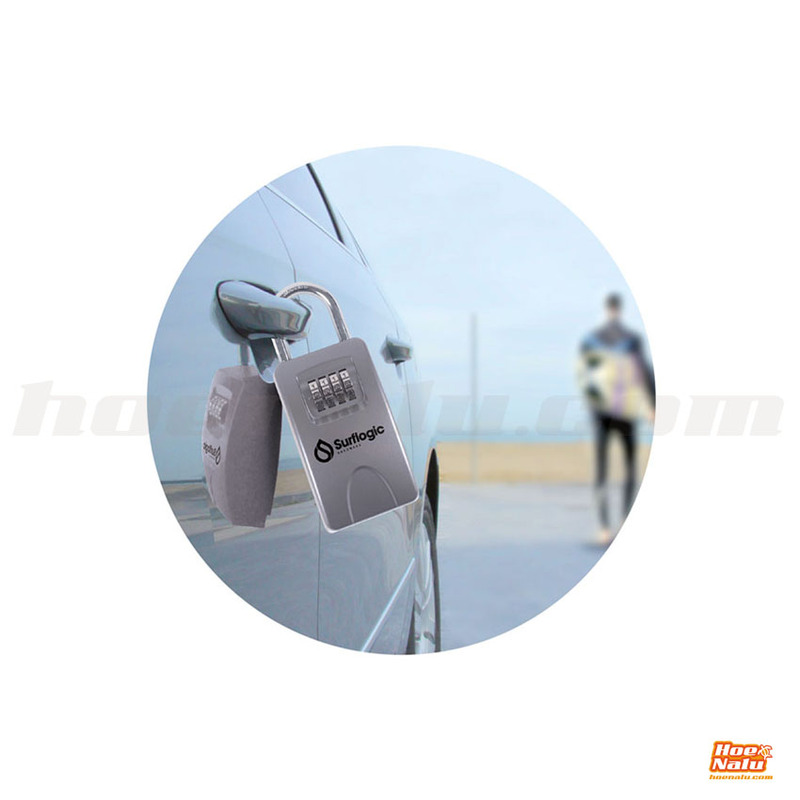 Take it easy while you paddle, surf or enjoy the wind, water and waves while knowing that your items are safely stored away. 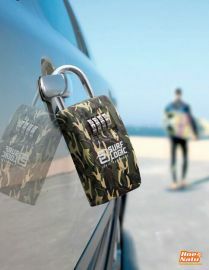 Surf Logic KeyLock acts like a portable lockbox, becoming the safest option for storing your personal items, especially your house or car keys. 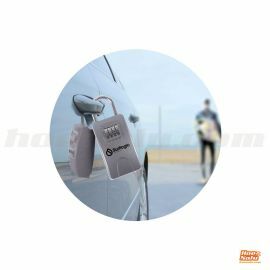 Wide anchorage point for easy attachment to any place of your choosing: car tires, towing hook, car handle or pipes, among many other possibilities. 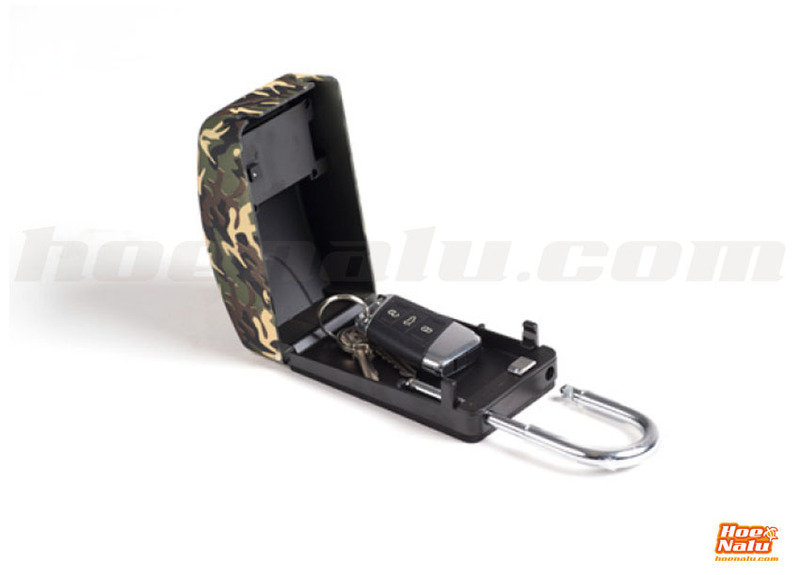 Padded back to avoid scratching any surfaces and protected lock attachment. 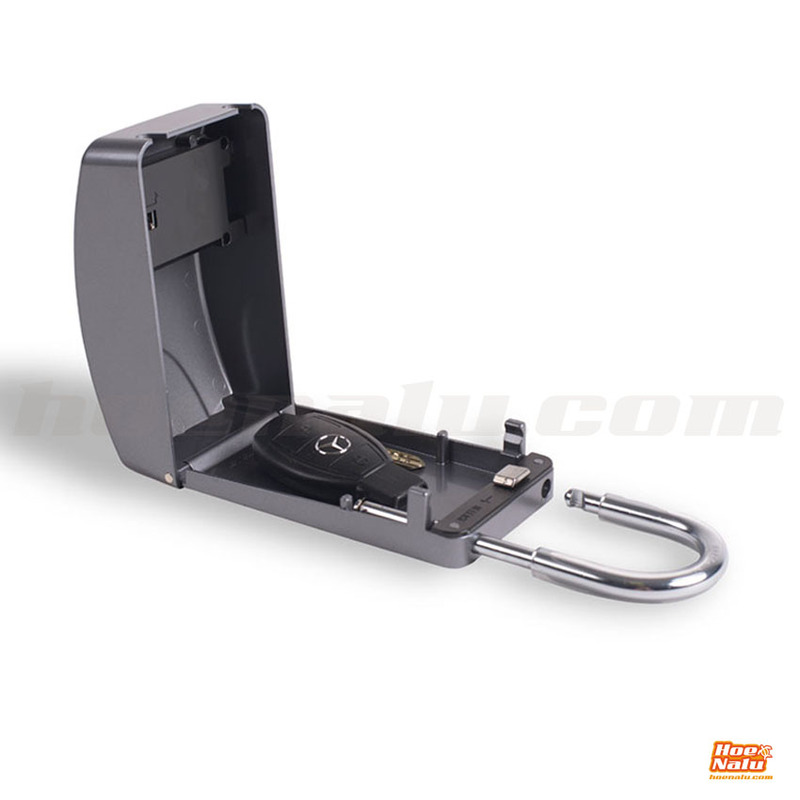 Acts like a portable and compact safe that you can transport anywhere you want and store inside small places, such as your dashboard. 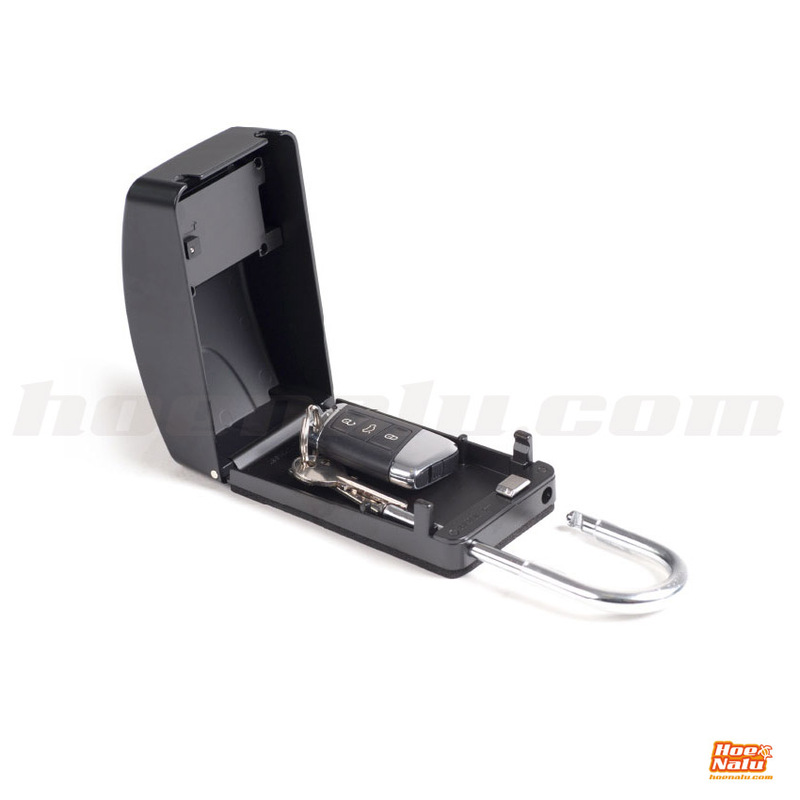 Ample compartment for storing any kind of keys, with a slot for fitting long keys. 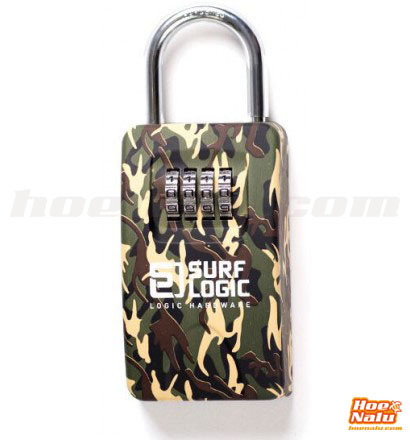 Once you get your Surf Logic Lockbox, please follow this set of instruction to set up a custom password. Please read the following instructions in detail. First, open the lock and remove an adhesive sticker which you will find at the rear of your Surf Logic. After removing the layer, you will see a Change Lever, as shown in figure 1, which you must move to the upper right corner. 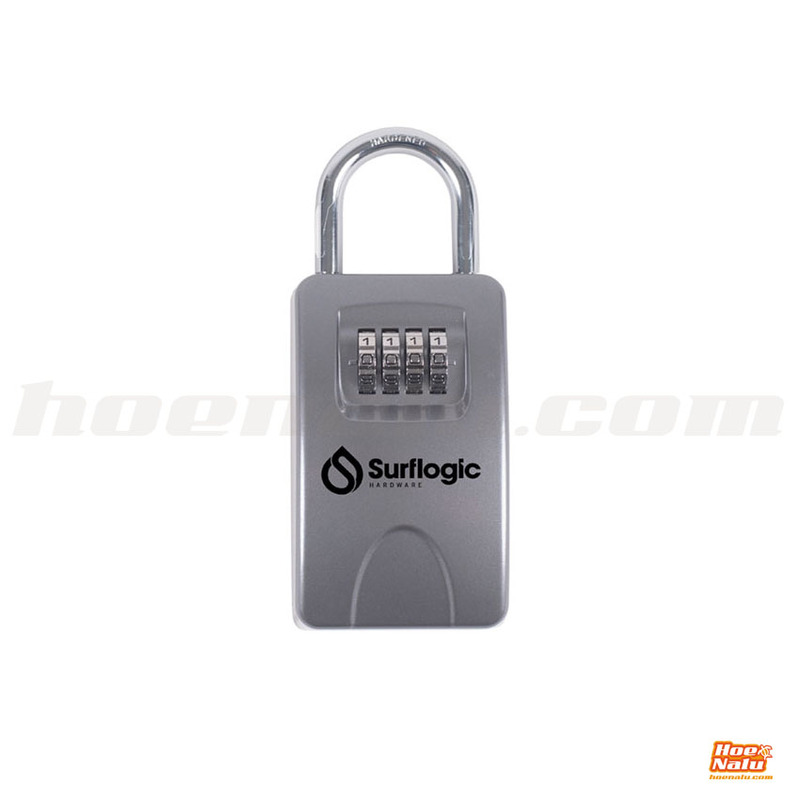 Modify the password to a combination of numbers of your choosing. Move the Change Lever down and to the left to return it to its original position. 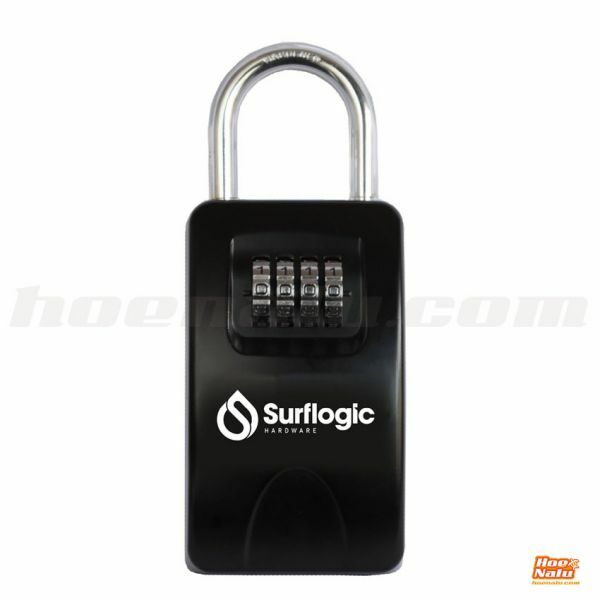 From that moment on, the Surf Logic KeyLock will be configured to your personalized password and you will have a fully set, portable lockbox.